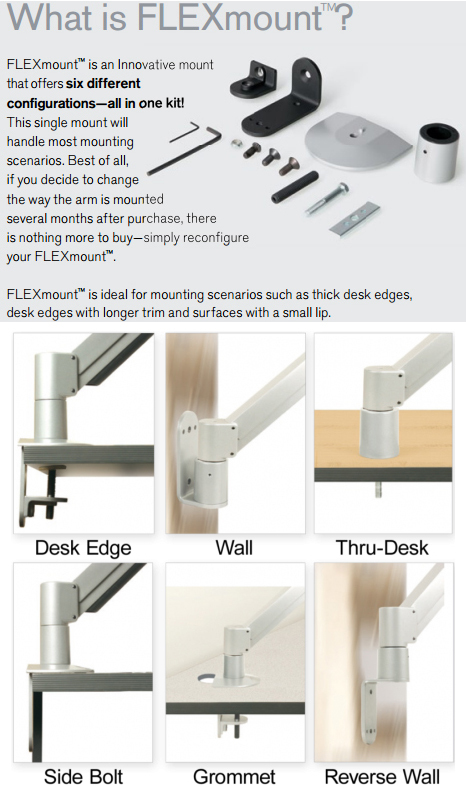 The Innovative 7000-500-8424 comes with a universal mounting option. It can be mounted on a desk as well as on the wall. 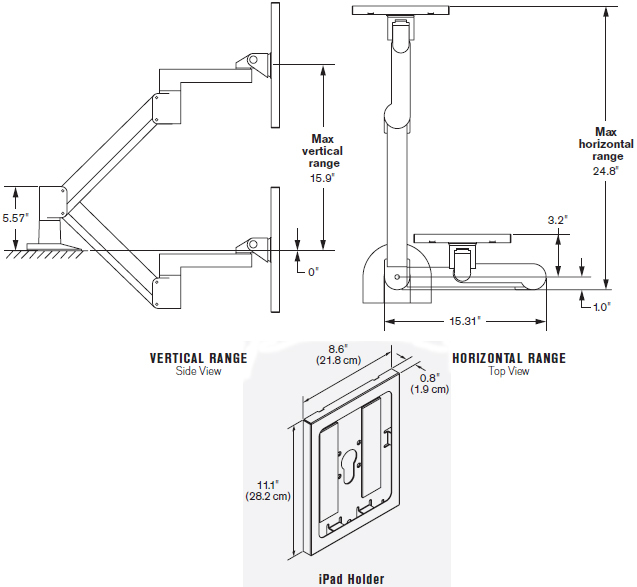 The horizontal range of the arm is 24.8" and vertical range is 16". iPad enclosure 8424 is compatible with iPad gen 1,2,3 and 4. The Apple iPad is increasingly finding a home in self-service and kiosk applications. However, the iPad's compact size and mobility creates a theft and security risk. This model allows the user to access the 'home' button. If this is not desired, please contact us for a version which blocks home button access. Secure mount prevents theft or damage to Apple iPad. Vertical range of +/- 8" from horizontal. Extends up to 24", collapses to just 3".